time exceeded those of its three major competitors. was also added in 1937. "Truth Always - Facts Only"
Montgomery Rd. and Kenwood Ave.
Beechmont Ave. and Collinsdale Rd. Shelbyville Rd. and Watterson Expwy. Nicholasville Pike and Reynolds Rd. John Shillito (1808-1879), known as "The Pioneer Mechant," came to Cincinnati in 1817 from his native Greensburg, Pennsylvania. Though only nine years old at the time, he almost immediately took a job with local merchants Blatchley & Simpson, where he worked until 1830. In that year, he left his employer and formed a partnership with William McLughlin. The dry goods business of Shillito & McLaughlin lasted about a year or so until Mr. McLughlin left and a new partnership was formed by Shillito and Messrs. Robert W. Burnett and James Pullen. 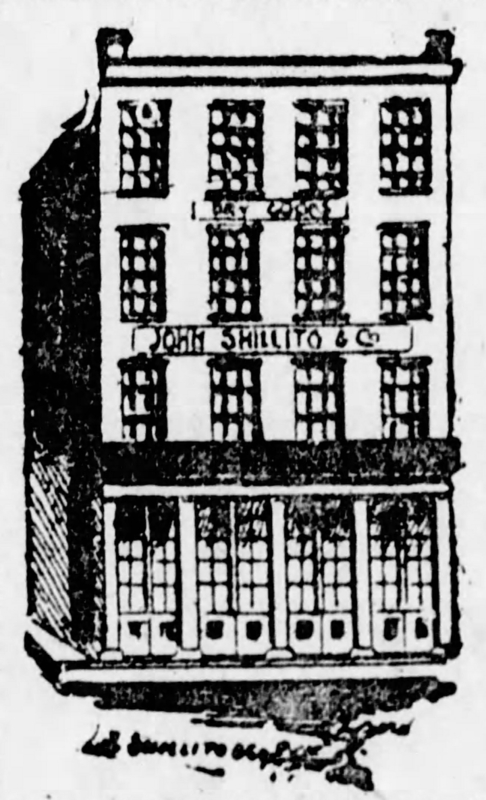 Shillito, Burnett & Pullen's business was such that a larger premises on the other side of Main Street between Fourth and Fifth streets was secured in 1833, but even this location was superseded when Shillito bought out his partners in 1837, and renaming the business John Shillito & Company. At this time the store moved to larger quarters on the north side of Fourth Street. Shillito's business was based on the slogan "Truth Always - Facts Only" and his reputation as not just an honest businessman but a dedicated Cincinnati citizen became widely known. In 1842, he gained sole ownership of the store, which dealt in the wholesale and retail trade. 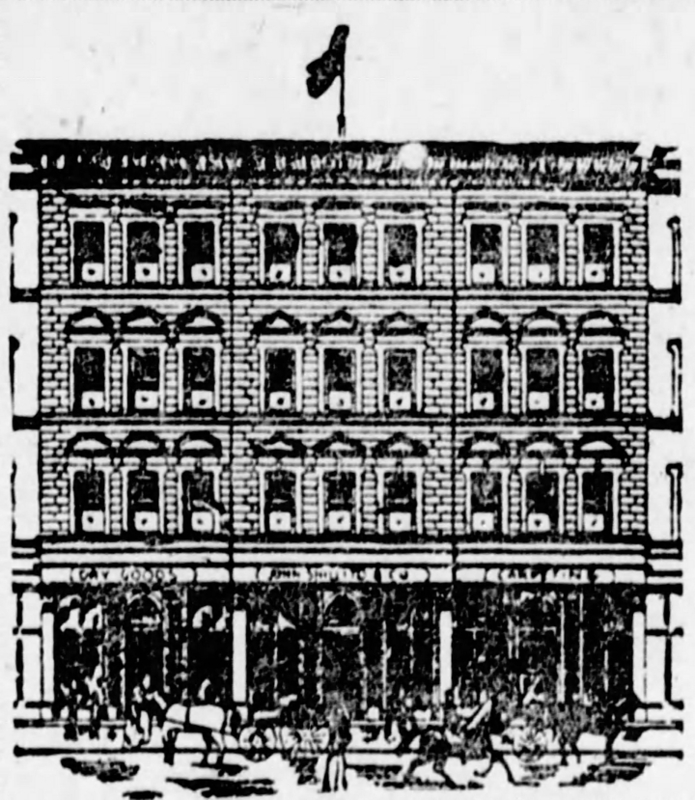 Twenty years after the move to Fourth Street, in 1857, Shillito acquired property on the opposite side the street and erected a grand retail palace that his store occupied for a further 21 years. 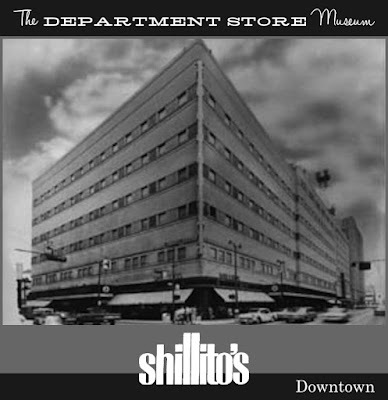 Competitor McAlpin's eventually took over the 5-story building after Shillito's vacated it. By 1877, even the large Fourth Street store had outgrown the needs of the business and the city it served. Shillito acuired a site three blocks to the north, on the west side of Race street between Seventh Street George (Later Shillito Place) streets. 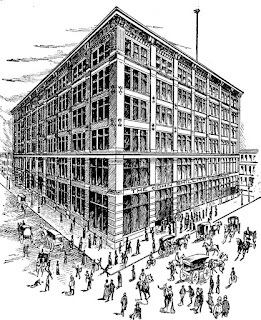 Consequently Shillito erected a 6-story red brick Chicago-style commercial building that the Cincinnati Enquirer referred to as a "grand architectural pile" and featured a soaring octagonal light well capped by a dome with gothic details. The store required a staff of 1000 to operate. John Shillito died suddenly at the age of 71 shortly after opening the new store. The man eulogized as "enterprising merchant, faithful friend, and honest man" left his business in the hands of his sons Walter, John, Jr., Stewart and Gordon, who had the business incorporated in 1882, and changed its formal name to The John Shillito Company. 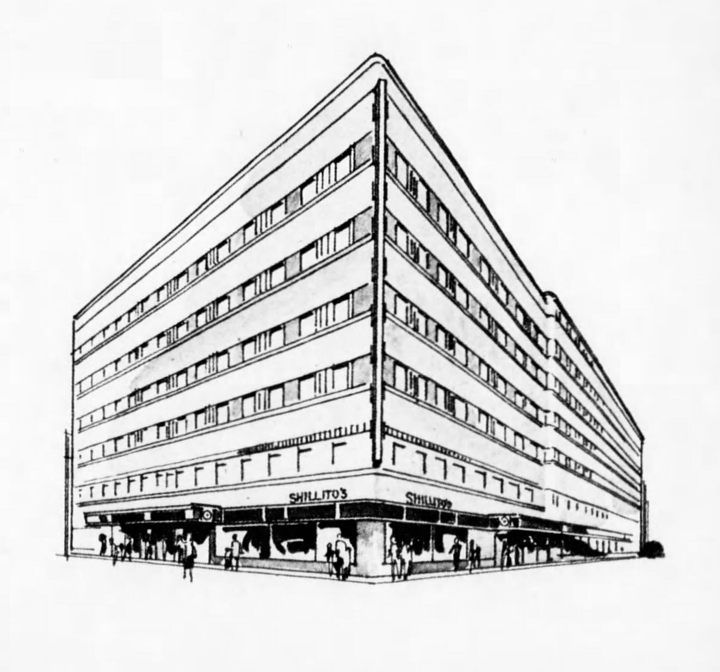 Stewart Shillito bought his brothers' share of the business by 1899, and discontinued its wholesale operation in 1913 so that the store could focus on the retail trade. 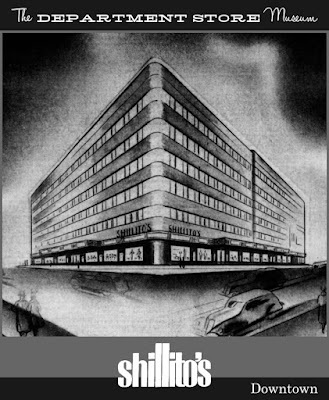 Bad times hit Shillito's in the 1920s, when a crash in the price of fabrics left the store overstocked with high-priced goods. 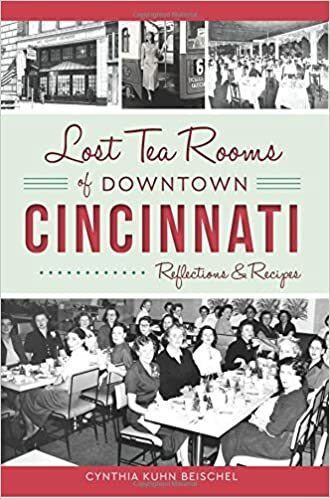 In the ensuing years, the store's volume dropped such that its position among Cincinnati's major department stores fell from first to fourth place, and it was rumoured in Cincinnati that the business would not live to see its hundredth anniversary. 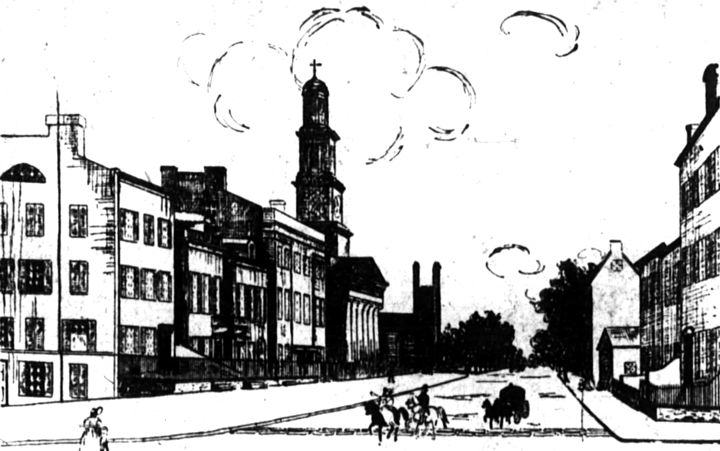 The Lazarus brothers of Columbus, Ohio, operated an extremely successful department store in Ohio's capitol city. Their mother hailed from Cincinnati, so they were intimately familiar with the city. By 1928, Shillito's store was described as "a terribly maintained building full of low-quality goods," and Stewart Shillito was able to negotiate a sale of the business to the Lazarus family. John Shillito, Jr., who had been running Shillito's at the time, immediately retired form the business and the Lazarus brothers embarked upon a major program of cleaning, expansion, and improvement. 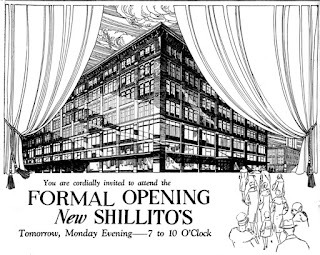 Accordingly, the "new" Shillito's opened on November 11th, 1928, stocked with new merchandise and soon offering new features like a tea room and a "French Room" for ladies' designer apparel. 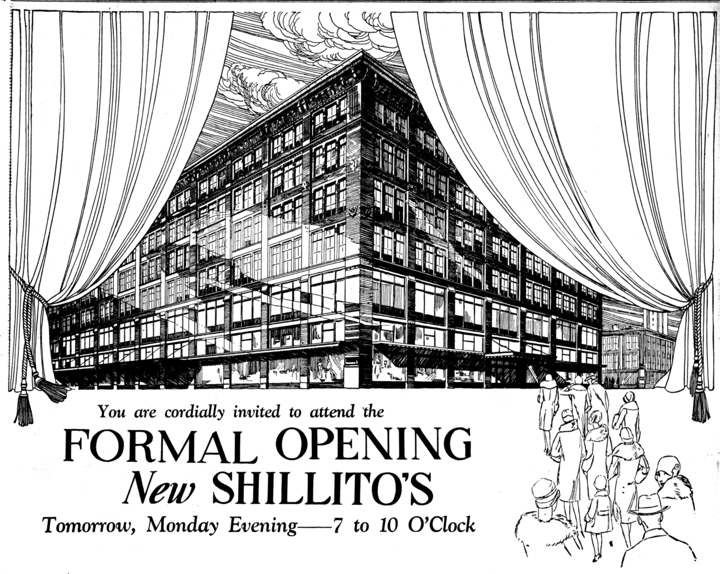 For the actual grand opening gale, Shillito's provided seven orchestras (one playing on each floor of the store) and events that presaged the success that the revitalized business would find in CIncinnati in the years to come. In fact, Shillito's prospered during the depression years, and found itself again with a shortage of space in its 58-year old store. 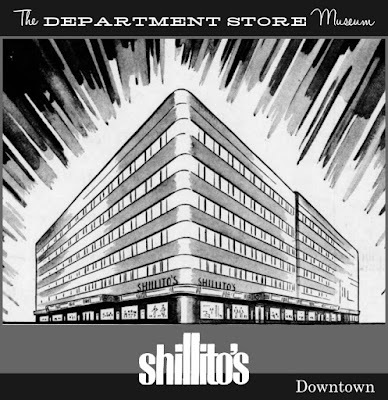 A major program of expansion culminated in 1937 with the unveiling of an enlarged "Greater Shillito's" with a modern Bedford limestone façade and seven-store addition extending as far west as Elm Street. A part of this new building was used for an innovation at the time: an indoor parking garage accommodating 250 cars. 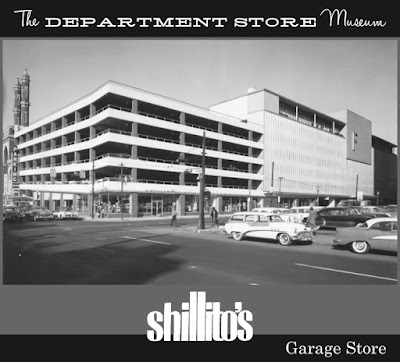 After World War II, Shillito's built a new garage across Elm Street, kitty-corner from the store. The former garage space in the main building was converted to retail space, and the main floor of the garage itself, referred to as the "garage store" housed more sales space as Shillito's grew. 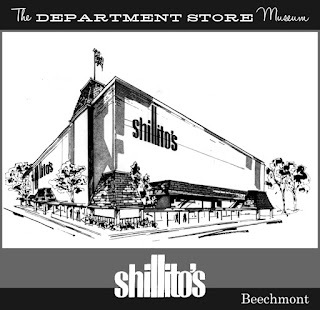 in 1956 the garage was expanded and the top floor housed the offices of Shillito's parent company, Federated Department Stores, Inc.
To compete with this behemoth, Cincinnati's other department stores led in the race to open suburban branches while Shillito's remained a one-store operation. 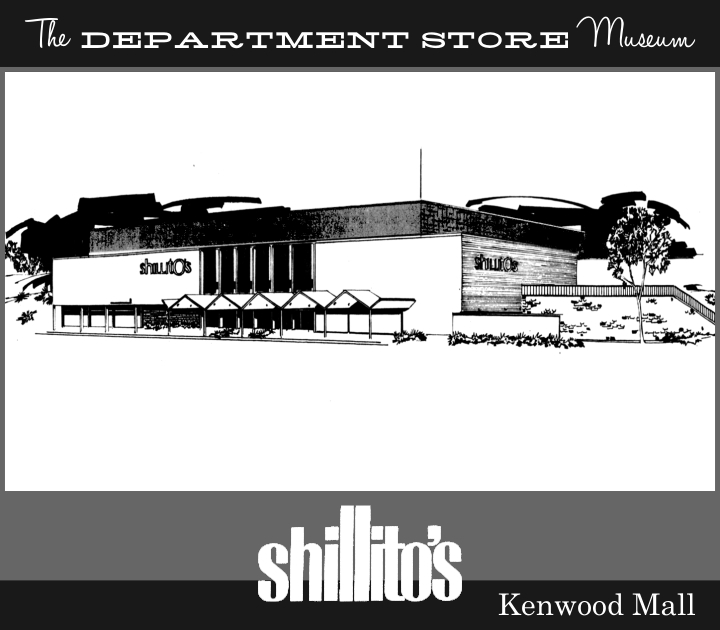 That all changed in 1960 when Shillito's opened its large, full-line store in the Tri-County Mall north of Cincinnati. When the city was ringed with branches opened in the years 1960-1969, the store expanded in to Kentucky by opening two stores in Louisville, one in Lexington, and a further branch in the Kentucky communities south of Cincinnati. Federated deaprtment stores was involved in the Campeau debacle, and after recovering, went all out on a program of consolidation that eliminated many famous department store names across the country. 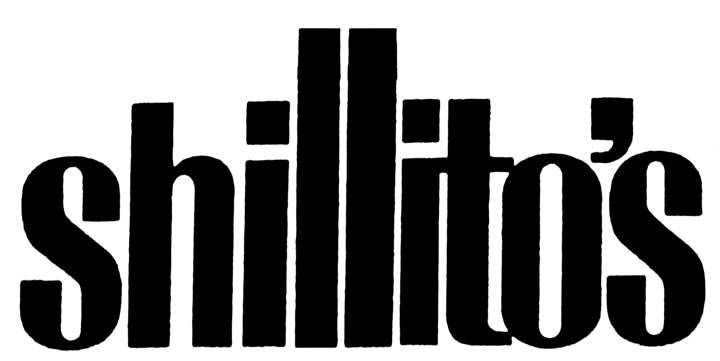 First, Shillito's took over neigboring Dayton, Ohio's long-standing Rike-Kumler Co., clumsily renaming all stores Shillito-Rikes, and later combined with its one-time savior Lazarus, dropping the Shillito name altogether. Eventually, the remaining stores were known as Lazarus-Macy's until the Macy brand name was selected to adorn all of the stores owned by the former Federated organization. 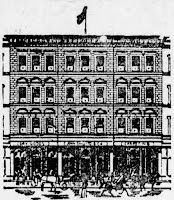 The John Shillito Comany's Seventh and Race Street store was converted to apartments, and perhaps the only silver lining in the dedcline and fall of this famous name is that the ocatagonal atrium, closed up since early in the twentieth centurey, was restored to it's nineteenth century glory in the famous building's changeover to residential use. I loved Shillito's. Every Christmas my Mom and Grandma would take me downtown to see Santa there. So many memories! 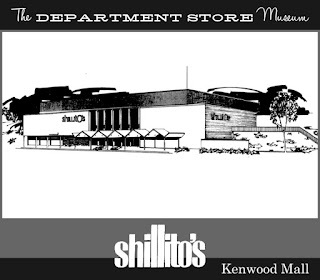 The Macy's stores at Oxmoor Center in Louisville and Fayette Mall in Lexington (which opened in 1971, not 1977) still have the original Shillito's look on the outside, though they have both been redone on the inside several times over the years. Does anyone know whatever happened to the Christmas display they had at Shillito's? I went there every year when I was young, and I took my Children there until the mid 1980's. I was just wondering what they did with it? Many of the displays are displayed at Crossroads Church in Oakley during the holiday season! They're a delight to see! Shillitos in Cincinnati was not just the flagship of the chain, but the premier department store of Southern Ohio. They set a standard for quality and customer service that has never been equalled since. My first job out of High School was Shillito's Better Shoe Dept. on the 2nd floor. After having children, I took them to see Santa at Shillito's every year. They were the good days. I now have grandchildren and miss being able to share those days with them. 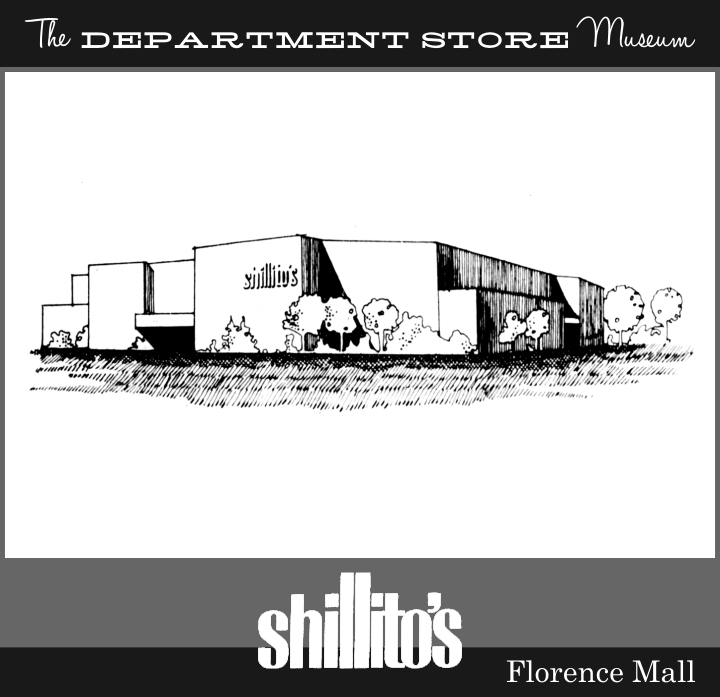 Such fond memories I have of the early 1980's with my mom and sister dress shopping at the downtown Cincinnati Shilito's. At one point, SHillito's was the Largest department store in America. Until the 1930's it was the largest west if the Appalachian Mtns. Shillito's was famed for buying directly from Paris. They would also buy from New York. Influential families would travel from all over the mid west and south to attend their fashion shows to see and buy what was new from Paris. I am interested in finding out about dresses that might have been sold at Shillito's around 1910, particularly so-called "lawn dresses." If anyone has any information, please contact me at mpriogrande@gmail.com Thanks! My family and I always looked forward to shopping there many times a year. The store was part of our family!!! I wonder if the 840,000 sq. ft. given for the downtown store includes their "garage store". It was accross the street at the northwest corner of 7th and Elm Sts. on the first floor of the vast Shillito's parking garage which took up most of that whole block (the garage is still there, but the current owners obliterated all evidence of the old store by bricking up the doors and windows so that one would never know they had ever been there.) The garage store housed their appliances, electronics and phonograph records departments. 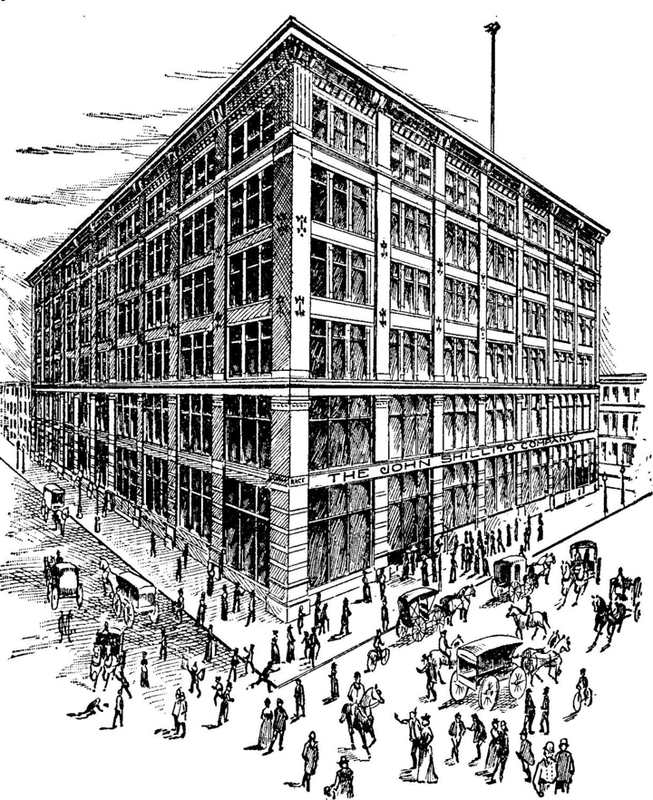 The Federated Department Stores corporate offices were also in that structure on the top floor. 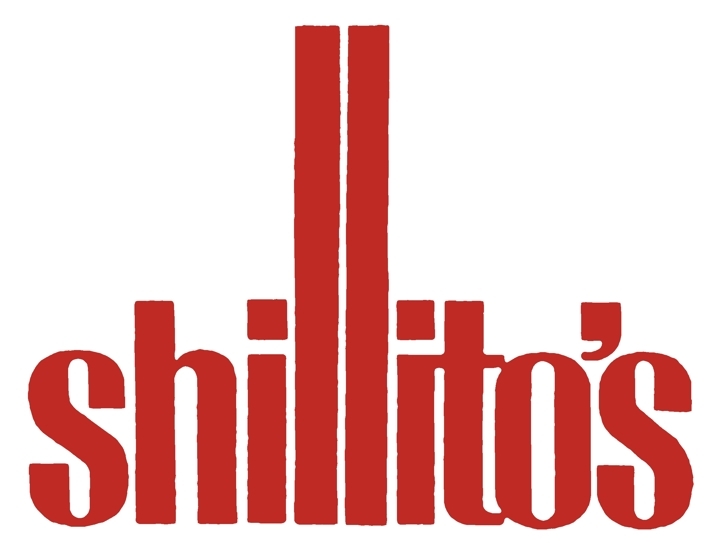 In the 1950's and 60', Shillito's served a wonderful chef salad with an amazing French-style dressing. I still try to duplicate that dressing, but it never matches the original. Anyone have a recipie for this? in the mid 1960's we used to go to Cincinnati at Christmas and one of the big department stores had the most incredible area for children - they had a big wooden playhouse that only children could fit in the door - there was a "lemonade tree" with a spigot and paper cups you could fill and refill as many times as you wanted, but my favorite thing was the candy cane factory - elves behind a window and a row of telephones you could call the elves and request what flavor of candy cane you wanted and out would come a warm candy cane - does anyone remember what store that was or where I might find more information about it? Shillitos's probably wasn't the biggest store W of the Alleghenies for long, if at all. May Co (Cleveland), Hudson's, and Marshall Field's all were larger, and all came well before the 30s. Years after shillitos closed the Boy Scouts purchased the elf display. I was thrilled to go through it again on Harrison Ave. about ten years ago. The display has moved again and i have no idea where it is. I would like to see it again. I have such wonderful memories of it. I have a video and maybe pictures. Can I somehow get the video to the webmaster for this site? I also have pictures of Pogue and Pogie from Pogues. They were at the Cincinnati Museum Center in the room with the train display. I have several pieces of art that my grandfather purchased at Shillitos, possibly as early as the 1930's. I believe that they are originals and I am trying to authenticate them. Does anyone know if sales records exist from that time period? I was wondering if anyone knows where Shillitos bought candy from? They had peanut cream clusters, and at Easter they bring in Fiesta Malted Milk Ball Eggs. I love them and always look to see if someone else carries these but have yet to find a replacement. Any ideas on where I can look to find this information out. This was in the 60's and 70's and even into the early 80's. My Mom use to work there most candy and baked goods were done in store. All of their candy, bakery goods and restaurant foods were made in the downtown store. It's still there, I think. I am so glad that I googled department stores in Cincinnati! I was born and raised in Cincinnati but now live in Arizona! Just reading all the comments puts a smile on my face! I loved going downtown to Shillito's and spending the day shopping with my mother and grandma! I loved the different levels of the store, the bakery everything! I miss all the richness that Cincinnati had and has lost with technology! Now living in Arizona we have lost a lot of history too with stores and malls closing. I long for the simple times in life when we were all happy! Wouldn't you agree? Thank you. Capezio person above - I was/am very into them although the ones from Shillitos were mostly from the childrens/teen shoe dept. In the mid 60's Pogues carried the ones I'd love to find, but can't. Also sold @ Giddings in the '60's. Also looking all over online for a purse that everyone carried during the 1962-63 school year - they were leather and had a huge bamboo hoop for a handle. The body of the purse was attached to the hoop by brass rings. The purse closed by flipping over a leather strap that was weighted down by a large/heavier brass ring. Also NOTHING was as good as the downtown pre-teen dept.!! I can remember my grandmother taking the four of us grandkids to Shillito's to buy us Easter outfits. We girls dresses, hats, white patten letter shoes the boys suits, ties and shoes. We had a ball. I also remember seeing the Christmas displays and all the fun of sitting in Santa's lap. I have Ideal Toledo Cooker with a cooper label on it stating The John Shilleto Company Cincinnati Ohio. It is in excellent Condition. If it would be of any interest to anyone to purchase you can contact me at event12@comcast.net. The cookers alone are estimated for $200-$400 dollars. I can sent you pictures of it also if you are interested. God Bless your Aunt, and how dine that a memento of her love and care for you as a child "popped up!" Thanks for sharing the story, though! Hi my name is jimmy i have a tie from Shillito's with american heritage club tag on it and the united state's seal all over it what year was it made?? Hi my name is jimmy i have a tie with shillito's on it with the united state seal all over it what year was it made?? 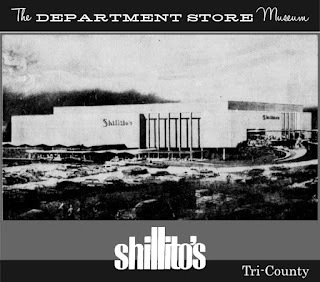 I worked at the Tri County store in the early 80,s (Shillito's, Shillito-Rikes) till I got promoted to a buyer (Misses and Women's) for several years, housed in the sub-sub basement, where all the merch was received, tagged and shipped from, before the Distribution Center (DC) opened. Each store had a number, like Tri-county was TC or 003. I was at the big store (001) when a pipe burst on Race street and flooded the place, LOL. It was also designated as a bomb shelter from the 50s, and a tornado shelter. Everything you could possibly want was in "the big store" as we called it. Dry cleaning, travel agency, toys, luggage, books, coins, watch repair, check cashing, wine, general merch, alterations, Santa Land, and even a pet store. A snake actually escaped from the pet store and made it all the way up to a dressing room on the balcony before they found it! To me, as a little kid, we always went down to look at the windows and Santa at Christmas. It was like walking into a big TV where everything and everyone was well-lit and beautiful. Behind the scenes, they had a giant employee cafeteria on 7 and a half where they sold a hot lunch for about $1.50 to $2.50 as an employee benefit, as well as a cold line for salads and deserts, and everyone ate together; managers, buyers and floor staff. Ah yes, turkey with mashed potatoes and green gravy that I spilled on my tie more than once heading back to my desk. The advertising agency was also hidden on a "half level" where the "new store" from the 30's wrapped around the old store and the floors didn't line up. So was the employee credit union. Display was also on a half floor and wrapped around the 6th (?) floor behind the selling floor. It even still had the windows that wrapped around the outside you could even see out of. I'll close with a story that was handed down to me in the 80's from a co-worker who worked there in the 30's. At that time, department stores were one of the places that women (mostly single) could get a "respectable" job. In those days "Mr. Fred" used to roam the store on Christmas eve and hand out bonuses to employees out of his own pocket who he knew were struggling. Nothing was ever said, but the Lazarus brothers ran that place like a family. I have to admit, that story still chokes me up when I think of how awful working in retail has become, it's basically soulless slave labor. After I left Shillito's, I moved to Pogues and Ayers. That store was even more interesting, but that's a store for another day. I worked in the maintenance department in the sub basement for many years. That was a long day, the day the pipe burst and flooded the place. I remember it like it was yesterday. I worked for the company in a corporate capacity for 20 years and my dad worked there for 26 years. It felt like family to work there then. I have found a jacket with the tag ShillitOs in it. Made me think on looking into this company. It must of been a sight to see in its day. I bought the jacket because I really loved the look. It is not even my size. It says on tag (Made expressLy for shillitOs) made in British crown colony of Hong Kong pure silk. the detail is amazing.can anyone tell me about this? I have come into possession of "The One and Only Ice Princess" that was displayed in the front window every Christmas for over 40 years downtown. I remember seeing her every year as a kid and what a memory! She deserves to be in a museum for all to remember. Can anyone guide me in my quest to find this Cincinnati treasure a permanent home? 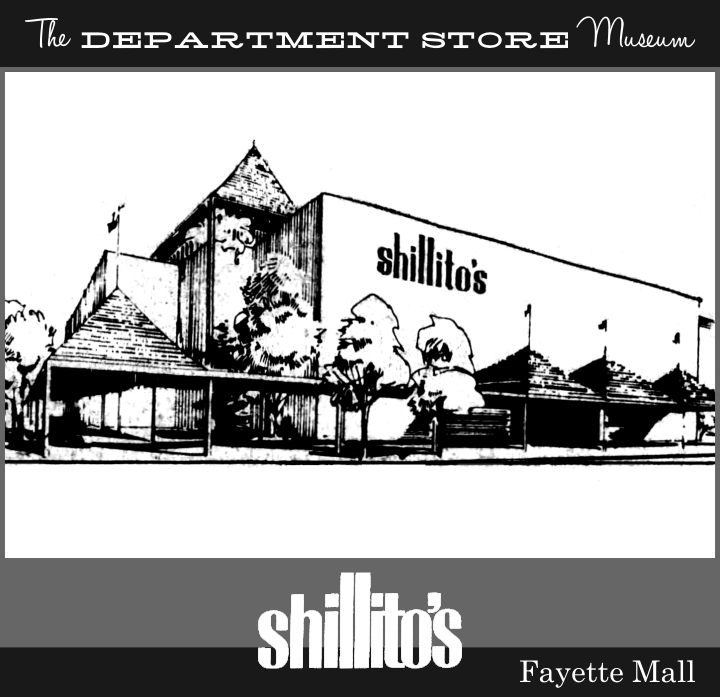 On 10/25, they opened the store for Shillito's Abandoned and gave tours of the abandoned floors. The tours started on the 7th floor, the Home Store, and walked around the sales floor and into the Interior Design Studio. We then went down to the 4th floor and looked around, saw the fur vaults, the alteration area, through the TV studio (which also had signs that said collections department), and then all the way to the bargain store and the subbasement. It was a neat step back in time. The tours were used as a fundraiser, but I hope they do it again and open up more of the building to explore. What fun it used to be going shopping in the days when there was Shillitoes, McAlpins and Pogues. It was such a delight for the senses! Mall shopping cannot even begin to compare. It seems like most of the pictures I see are of the outside building. Would love to see some of the inside of the store when it was still in business. this is truly amazing! 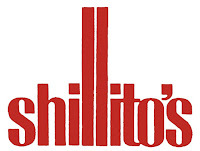 I typed Shillito's into Google and had no idea. I worked in the Louisville, KY store for 9 years and we had such fun while working hard. I was a Freshman at the Univ. of Cincinnati in 1963. I was with three other students, riding the Shilito's main store escalator up, when we learned that President Kennedy had been shot. The TV department became our information source and we were there when Walter Cronkite made his tearful announcement that the President was dead. It seems that several people still remember the old store. So I will add my memory . For those buffs who remember the store you may not know how it and the people in it directed the current retail enviroment. With Macy's now bowing to the new retail enviroment and opening on thanksgiving I can remember hearing the story of two folks who may be looked upon as the authors of black friday and the 'Christmas season. Mr Fred and Mr. Frank Lazarus both were routed in our past. One became the manager of the store the other became the ceo of Federated Department Stores which is still housed in downtown cincinnati. NOw the story as I remember it was during the 30's Mr Franklin Roosevelt asked the business leaders of the time how to jump start the economy well it was proposed by one of these gentleman to make thanksgiving be on one special day of the month of november and use that to develop a season from Thanksgiving thru New Years to spark celebrating gift giving and of course retail sales. This my friends became what in retail was to become fourth quarter and more specifically the day after Thanksgiving the biggest shopping day of the year our very own black friday. Other things I am proud to be associated with is that the downtown store was at one time the largest department store. The store was one of the first to integrate its work force and restruants way before it was in vogue . The people working were the best in the world and kept christmas very very well. It had a coffee shop which was in it's 100 year of service when the store was shut down. It had its own candy department and candy was made on premises and had it's own secret ingrediants passed down from candy maker to candy maker. It had multiple restruants in it from the high class to the basement snack shop. It had elves, windows, and lets face it it was across the street from world headquarters for many a year. My Grandmother Mabel Gribbons worked in the jewelry department up until near the closing of this Cincinnati icon of history. My memories were of my mother taking my brother and I down to visit. I'd walk outside and see the Christmas displays in the front windows. I knew we were close to seeing NeeNaw as all her grandchildren fondly called her. We would go in and all the ladies would come around as she would show us off and make us pose for them. Everyone seemed to love her there. She had wonderful friends. There was a strong tie to memories of my grandmother and this store. Tildon Gribbons, my grandfather would often be doing something in the garden or around his small little shop and garage. He would say we'll NeeNaw will be working at Shillito's this week. But we can see about asking her this weekend. He was a maintenance supervisor at the downtown Holiday in my uncle managed. We lived in Groesbeck but downtown is where they earned thier income. So we visited often. Whenever I hear Shillito's it always brings back memories of my NeeNaw. Thank you for hosting this site and allowing to note what this store meant to me. Having reviewed the comments above I may be the senior commentor that was actually a member of the Shillito family for just one (great ) year -- 1948. The touching stories of the responders, as told from the outside, can be reinforced by this writer from the inside. It was truly a fantastic place to work. I was hired 'off the street', shortly after graduating from Ohio Wesleyan, to join a select class of twelve college graduates to participate in an Executive Background Training Program. After six months of intensive 'hand's-on' training in every department in the store I was promoted to an executive position as assistant-buyer in the beddng and domestics department on the fourth floor. Although this proved to be an interesting.assignment, it was 'sidebar' projects that made my brief, but memorable, 'career' as a Shillitoite. (I left the store for active duty in the Navy). 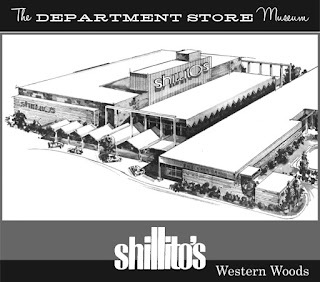 As I progressed through the store in my training I met many employees that had professional experience in show business prior to retiring to a less stressful life at Shillito's. The thought occured to me why not create an employee club that would afford these folks, and others, an opportunity to join together and share their experiences? It would be an informal and fun way to make new friends from other departments thus furthering management's quest to promote a family atmosphere. So, I submitted the suggestion to management who not only whole heartedly indorsed the concept but Fred Lazruth, Jr was the first employee to sign up as a member and I was assigned the responsibiliies of Executive Director. Thus, a Shillito variety club, appropiately named "On Stage" was born soon boasting over 350 members. The first club endever was a very ambitious undertaking to say the least, It was to write and produce an original musical based upon department store life. After taking a maximum effort requiring weeks of after hour rehearsing, building sets, making costumes, writing and arranging all of the original music with not only an all out effort from each member, but with full cooperation from the entire store. The pride and enthusiasm this project produced throughout the store was indescribable. The way it was recieved and reviewed when it played three nights at the Wlison Auditorium on the University of Cincinnati Campus to a full house more than rewarded all of the employees that perticipated, and supported, this in-store achievement..
Another Shillito 'sidebar' program I became envolved with was a community project few were aware of. It was the support a boy scout troop for which I was the scout master, and store coordinator, near downtown Cincy located in what was commomly referred to as 'the slums' known to have the highest rate of juvinile delinquency in the city. 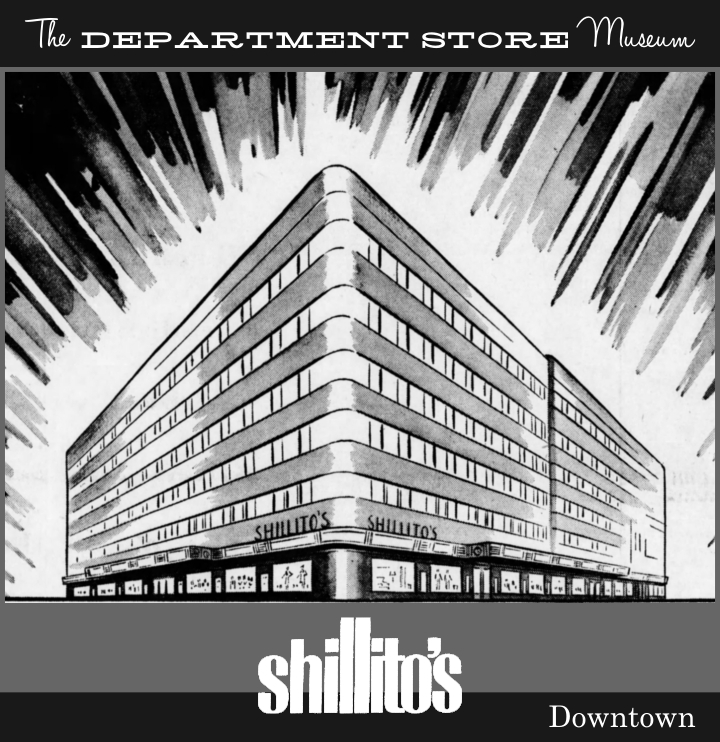 Yes, the now legendary John Shillito Department Store was indeed the warm and friendly heart beat and economic blood that rightfully represented the best of a great city. 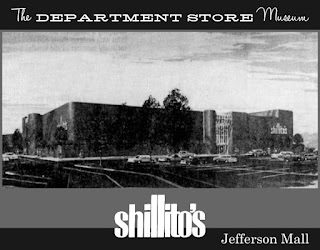 I worked at Shillito's in 1948 as the assistant-buyer of beddings and domestics and also served as the Executive Director of a employee variety club called 'On Stage' with over 350 members many of which were retired professional entertainers. Fred Lazarus and other top executives were also a members. The group actually wrote and produced a complete musical , a satire of department store life, that performed for three nights to a full house at the Wilson Auditorium on the University of Cincinnati campus. I also served as the scout master of a troop the store supported in a slum area near downtown Cincy. Wondering if anyone remembers a Barbie Doll offered for sale by the Fur Department (possibly in the early to mid 1980's). I bought one and would like to find another (not sure if it was at Shillito's or Pogue's but it was definitely one of the two). She had a real mink coat. I have a lifetime of memories... my mother taking me to Shillito's around Christmas each year; viewing the Christmas windows, of course; and in the 1980's, my sister worked in the Shillito's cosmetics dept., and I worked on Garfield Place as an attorney for CORVA. She and I loved to meet for lunch in the Shillito's first-floor coffee shop, where we invariably ordered "The Seven Hills"--I can still see that cheese bun w/ barbecue-like meat on it...I think there was slaw... and I would order a slice of apple pie with cinnamon ice cream and warm nutmeg sauce! Wow, I can still taste it!! We miss Shillito's so much. There is an old Christmas "Lifetime movie" that was filmed in the Shillito store about a mannequin who comes to life to become a little girl's mother for Christmas... and we enjoy watching it to see all of the counters, aisles, escalators, etc.--the whole interior of the store that we remember so well. Really fun and fond memories! Glad to find this website--I've got to show my mom and sister! In 1966 I was a newlywed from Rochester NY. My spouse was an assistant manager at the Neisner Brothers - a Five and Dime store down a few blocks from Shillito's. I worked at Shillito's on the first floor - better jewelry. First thing was to inventory all the rings, the watches, etc. before the store opened. Then it had to match the inventory from the night before. One day there was an announcement telling customers to take their purchases to the nearest register as the store was closing in 10 minutes. The store actually had been opened about 15 minutes, and we chuckled thinking that somehow the announcement was off kilter from the night before. Moments later the jewelry manager came and told us to take inventory, even though not one item had yet been sold. She verified that the store was closing. ??? So took inventory and then carried my cash box to the designated area. I was passing the security guard and asked him why was the store closing, (in those days we worried about Sputnik and other Russian invasions). The guard pointed to the glass door and toward the street - see its snowing. WHAT - it was barely a flurry - SNOW - you want to know snow - I come from Rochester and snow is 6 feet tall. So then got my coat and purse and walked over to the Neisner Store and asked spouse if his store was closing? Yes he said but they were asking customers to cash out and those that were having breakfast at their counter could finish eating - then everything had to be washed and put away before he could close up. He gave me money for the bus ride home, as we normally drove in together. I got off the bus near my abode and from my right the street curved and it was hard to determine if traffic was coming. Well, I nearly got run over as the people inexperienced to snow driving could not control their vehicles on the barely snowflaked road. MY MEMORIES OF CINNCINNATI OHIO AND SHILLITO'S. By far one of the best department stores in the USA. As a child and teen, downtown Shillito's , was a treat to go and shop. The Christmas shopping there was as good as its gets. Toy land, still bring back the best memories with my family. This department store was the very best of the times in the city of Cincinnati.If you are from around the area, you have been to this store. Today the building has apartments, offices. However, told a great deal of the building is as it once was ,as a department store with many of the departments. Closed off. 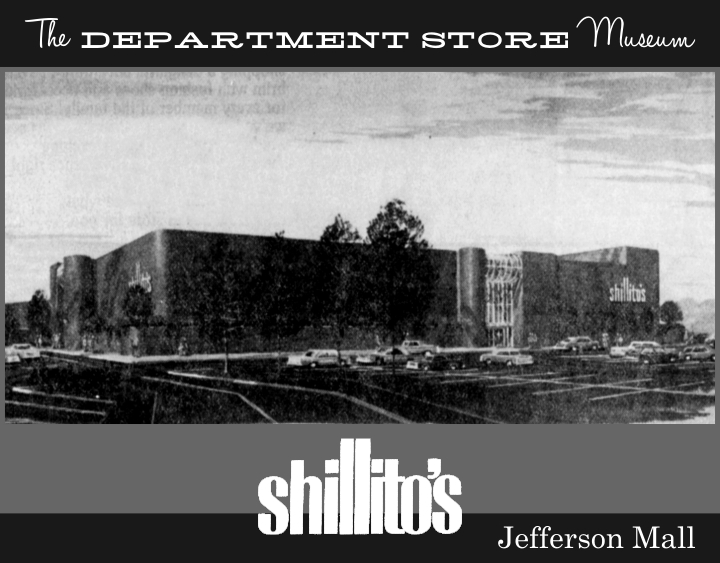 Mr. John Shillito's, would be very pride to know, that so many people still takes the time, to say thank you for building the very best department store. i own a shillito's sewing machine, does the museum want it? Please check with your local history museum - I am sure there would be some interest. The Department Store Museum exists (at this time) as an online museum only, save for some ephemera in the founder's collection. Thank you and good luck finding a welcoming home for this piece of history! Thank you for this helpful resource for those of us who treasure these old memories of going shopping with mom or dad at Shillitoes. But I never took any photos of the different floors ... what Shillitoes in Cinti used to look like before it was hollowed out into a bunch of condos. Any tips on where I can find images of what this store used to look like, inside? Neat memories here. As a teenager, I was hired to be one of a bank of telephone Santa's. Parents filled out slips listing their kid and the phone number from which we would call. All of us were in our teens but we lowered our voices as much as possible to get out a passable "HO HO HO." The little kids on the other end of the line were so cute. Once as a little boy I visited the store with my mother. On at least one occasion there were lots of canaries in cages throughout the store. They sang beautifully. Does anyone remember seeing them? My mother had me pose for a silhouette in probably 1950. I'm unable to read the stamped signature. Does anyone have knowledge of the artist? I worked for shilitoes as a driving instructor. I remember the Christmas displays each year before I worked there. I miss all the days when people really were good to one another Sad to see those days are mostly only a memory! There will never be a department store as warm and wonderful & caring as it was again. It had the human touch that you don't find very often in retail today. Yes those were really THE GOOD OLD DAYS for sure! !! HAVE A 125TH ANNIVERSARY PLATE WOULD LIKE TO SALE-GOOD CONDITION. My grandmother worked in the stationary department in the late 1940's. My grandparents met at a club one night in 1947, but my grandma left before my grandpa could ask to call on her. 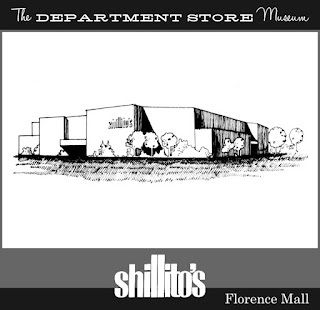 He didn't know where she lived but he knew she worked at Shilloto's, so he searched every department of the store till he found her in the stationary department. What happened to the doors from the Tri County store that were the entrance to the mall? They were the only doors I ever saw drop into the ground when they opened. When the mall was open air and it was raining the doors remained up, but if it was a clear day the doors retracted to the ground and a foot plate covered the top. As a child, I was fascinated with this. My Dad worked at the downtown store in the maintenance department until 1977 his name was Donald Momberg. As a child I remember him taking me behind the scenes where only the employees were allowed. It was so amazing to see how things were done. My mom and I would take the bus downtown and meet my dad for lunch at the employee cafeteria,my mom would shop and I would stay with my dad, he would take me all over the store. We would always visit the candy maker for a treat. When Christmas time came my dad was one of many that put up the Christmas displays inculding the Santa's village and the outside lights with the star on top of the store. We had a copy of that star at home it was always on top of our outside Christmas tree. I also remember how well they treated my dad he had a lot of health problems during his employment there he never had to worry about his job it was always waiting for him no matter how long it took to get better. Try to find a company who would do this today. My Dad worked there for 32 years he passed before he could retire,he only needed a few more years Shitllitos allowed my dad's full retirement which helped my mom financial. Back then this was a big company but it still cared for its employees just like they were a family. I have so many memories of the downtown store since I was raised with my dad working there till his passing I was 16. It was a great place to work but it was also one big family. One more memory I got lost once in the store but only for a few minutes. I was found by a associate who knew me by isn't this Don's kid what a place it was. I worked for both Shillito's and Pogue's, Mabley & Carew also. Early sixties I remember how festive it was in downtown Cinti. Christmas music filled the air out on the streets and the department store Christmas window displays were just fantastic. 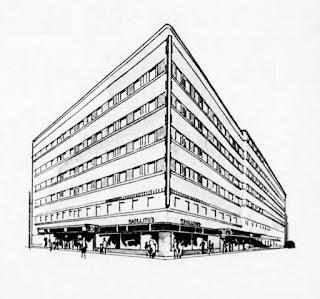 I remember working in jewelry at Shillito's on the main floor and the Lazuras brothers roaming the floors making all the employees nervous!Pogue's, all 9 floors of merchandise is incredible to think of today. I remember little John Pogue walking the floor every single day and so kind and talked to all the employees. Christmastime was a very special time in downtown Cincinnati during those years..